Consigned for Future Memory presented at PR1 Gallery and the Centre for Contemporary Art brings together a selection of images taken by South African photographer George Hallett during his life in exile in the 1970s and 1980s. Born in Cape Town in 1942, George Hallett began his career as a street photographer and freelanced for the iconic Drum magazine with editor Jacky Heyns in 1964. In 1966, when the apartheid government declared the mixed neighbourhood of District Six (in Cape Town) a White area, Hallett was encouraged by writer and artist Peter Clarke, and protest poet James Matthews, to document the area before the forced removals and destruction began. Hallett’s District Six series (1968), on display at the Centre for Contemporary Art, announces the development of his interest in collective memory and the recording of the present for future generations. The photographs on show at PR1 Gallery consist primarily of portraits – a genre for which Hallett has gained international recognition. These retrace moments of his life in exile through the figures that have played an important role in the formation of his intellectual frame of thought, and stimulated the creative exchanges reflected in his work. The exhibition begins with images evoking Hallett’s links to literary circles in South Africa and England where he settled in 1970. In London, Hallett was introduced to Diane Spencer then editor of the Times Educational Supplement for which he covered several socio-educational stories. He has also been an important creative collaborator of Heinemann’s African Writers Series. Working with editor James Currey, Hallett designed innovative book covers for the series that contributed to disseminate twentieth-century African literature to the world. Some of these images and books are presented in both spaces. The display continues with Hallett’s encounter with the London-based South African exile community recorded through compelling portraits of visual artists, like Dumile Feni (1942-1991), Louis Maqhubela, Gavin Jantjes; and the documentation of performances by jazz musicians Chris MacGregor (1936-1990) and his band the Brotherhood of Breath, Dudu Pukwana (1938-1990), Joe Gumede, Louis Moholo and percussionist Eugene Skeef. The show concludes with portraits of anti-apartheid activists Yusuf Dadoo (1909-1983), Marimuth Pragalathan Naicker (1920-1977), Pallo Jordan who went on to become cabinet minister from 1994 to 2009. The two pictures of the late Nelson Mandela (1918-2013), whom Hallett followed during his presidential campaign, mark the end of a twenty-four-year exile that also took him to France and the Netherlands. These images are part of a series that earned him a World Press Photo Award in 1995. Consigned for Future Memory is organi sed by Making Histories Visible the interdisciplinary research platform led by Professor Lubaina Himid at UCLan’s Centre for Contemporary Art. 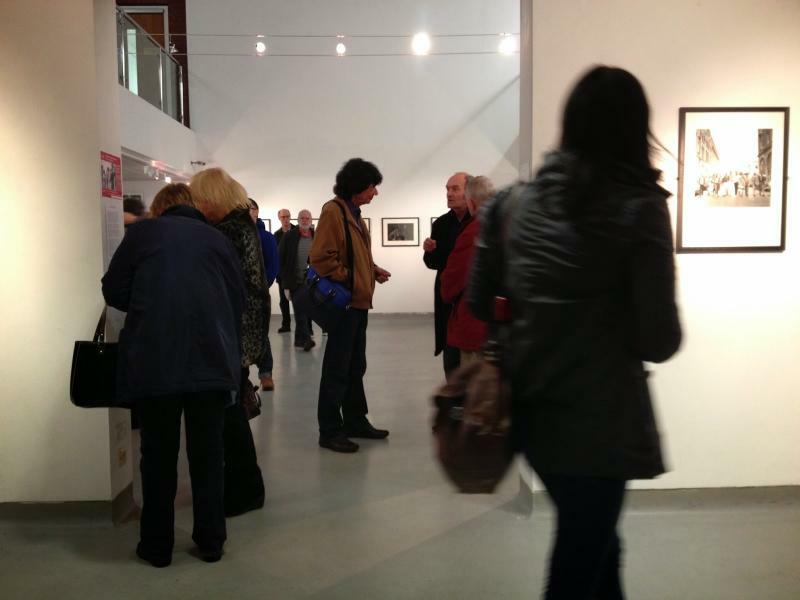 The exhibition coincides with George Hallett’s presence at UCLan as part of the Distinguished Visitor Programme. 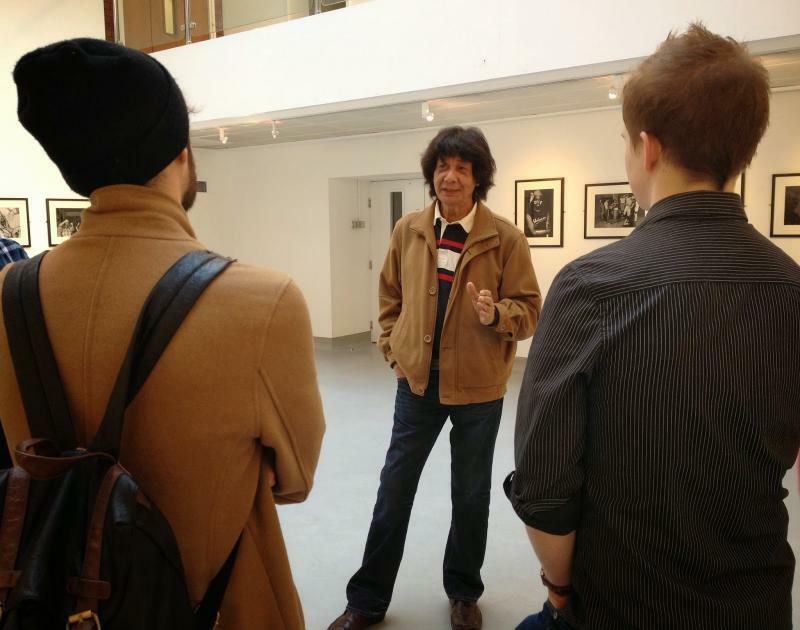 Hallett will lead a workshop with UCLan’s photography and art students on Wednesday 19 March and give a public lecture about his photographic journey on Thursday 20 March 2014. The lecture will be followed by a viewing of the exhibition. Free entrance to the lecture and exhibition. See here for images of his “distinguished visit”. Posted in News and tagged george hallett, photography.